Aside of it's massive indie rock export in Kasabian, Leicester's music scene in my view has always being somewhat under appreciated. The metal core and indie scenes that are based here are nurtured by a series of well-run, understated independent venues - Dryden Street Social, The Shed, The Cookie and The Musician amongst others - with the flagship O2 Academy mostly relegated to hosting club nights for students at the University of Leicester. 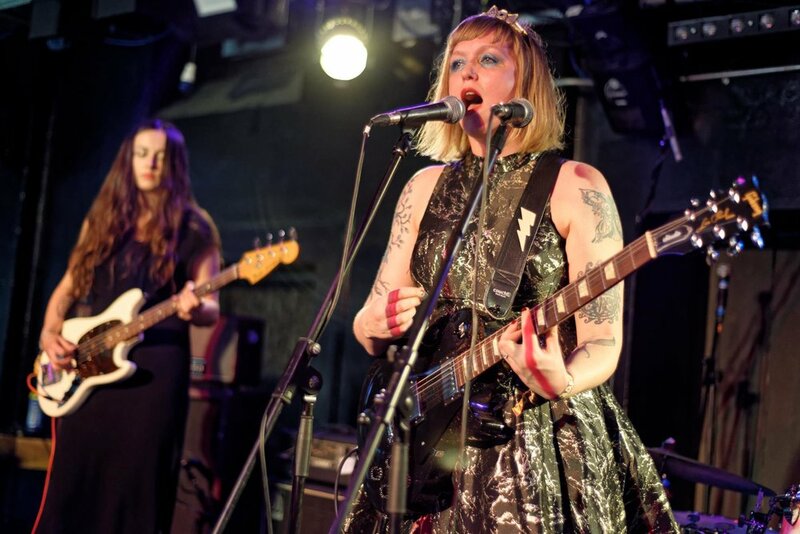 A jewel in its calendar arrives each Spring though - the independently-run Handmade Festival takes over the venue for two days, to host some of the brightest talents within the UK's indie and punk circuits. True to its name, Handmade Festival has a very DIY feel to it as soon as you walk in. Set almost entirely within the O2 Academy Leicester - not in itself a massive venue - the three stages inside all have their own persona. The Scholar Bar stage was akin to your local pub's weekly open mic, complete with a flimsy-looking barrier and wooden raised stage. The Union Square stage and the main room at the O2 Academy were much more majestic affairs - the former was set up within the lobby of the Student Union, with an array of food vans on the balcony outside. Some honourable mentions: Nottingham-imports Crosa Rosa made for a more mature version of Nirvana's Bleach era, knocking back riff after riff on the main stage. The Orielles also made a large impression on the main stage, their blend of indie-disco meets classic rock definitely not needing less onstage cowbell. Filling in for Strange Bones on the Union Square stage, were Kagoule (fresh off a few dates supporting Drenge) their surprise set being an unexpected but welcomed highlight of the weekend. The organisers have done themselves well on booking a lineup of such high quality, combining both recognisable names with some hidden gems. Given the amount of criticism of many music festivals for their male-dominated lineups, it should also be noted that Handmade have curated an inclusive lineup with women not only on stage, but also women at all levels behind the scenes. This, and the presence of the anti-sexual harassment charity Safe Gigs for Women, made for a safe and friendly environment for all genders that all festivals around should be striving to achieve. Handmade is doing Leicester, and its music fans proud.